This code belongs to “jQuery Scroll Top Plugin” and included into the verson 0.0.8 of “Responsive Mobile” theme package from CyberChimps in my case. 1) update to the latest version of a product. 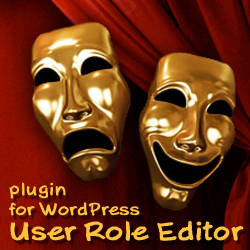 2) if problem was not resolved after update, contact plugin or theme developer with a support request. The source of this problem is that starting from jQuery 1.12 it’s a requirement to enclose any CSS, HTML selector, like this href=#scroll-top to the pair brackets. In our case as a single quotes are used already in this expression, we should use a double quote, like this 'a["href=#scroll-top"]'. This trivial update fixes the error and problem. This small and simple fix allows you to update your WordPress to the latest 4.5 and do not wait while your theme or plugin developer publish its own fix to provide compatibility with the jQuery 1.12.x. Divi theme version 2.6.4.1 has the similar problem compatibility problem with jQuery v. 1.12. Divi Version 2.7.3 ( updated 04-13-2016 ) fixes the jQuery issue outlined below. Update your theme. and look if some of them don’t uses quotes after = sign. Edit those places adding pair quotes like we did in examples above. This entry was posted on Thursday, April 14th, 2016 at 02:25	and is filed under WordPress, WordPress hints, advices. You can follow any responses to this entry through the RSS 2.0 feed. You can skip to the end and leave a response. Pinging is currently not allowed.